Mandatory marijuana for everyone's personal stash. This haze is a delightful rendition of how a superior haze should perform. Elongated with 4-5 spears is typical of her growth pattern. Definitely the strongest and highest THC rating of the the autoflowering types AK-48 is the big gun of the ganga arsenal. 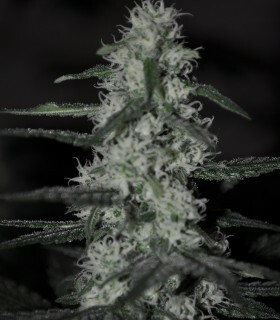 Combining the world famous attributes of the AK-47 and Lowryder has produced a most rapid flowering fem fatal. 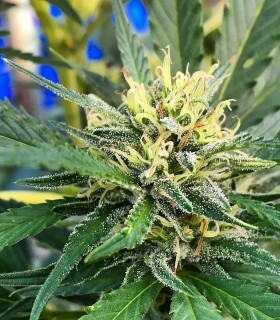 One of the tastiest and unique plants available has now been released in feminized form for the masses. 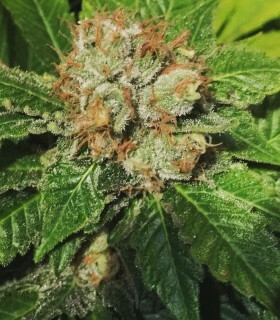 From genetics created by DjShort and then isolated by Sagarmatha we have produced a wonderful example of Bluebery Bud. 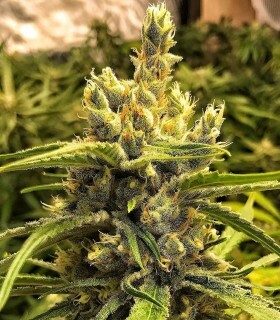 Sagarmatha's Boulder Bubblegum is a feminized marijuana seed that has its origin in the union of a Sativa and an Indica of undiscovered origin. It is a medium-sized, Indica-dominant plant that grows vigorously and has thick, resinous buds on its branches. Winner of the Bay Area Growers' Award in San Francisco, California in 1999.First prize at the Nimbin Mardi Gras Festival in Australia in 2002. Grown by the Beanmeister Brothers.Bubbleberry has become one of the most satisfying varieties of Sagarmatha. The seed has become a legend in the growing rooms and neighborhoods of the Cannabis experts. Sagarmatha Seeds' Cal-Train Wreck is a feminized marijuana seed that has its origins in a meticulous selection of Trainwreck. 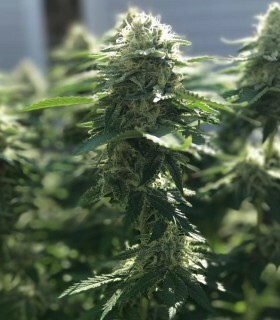 It is a Sativa/Indica hybrid that develops a medium sized, vigorous, fast flowering and easy to grow plant that produces generous harvests of thick, resinous buds. The Champion “Cheese” and the terrific “Train Wreck” have been fused to form one the most fantastic hybrids of the 21st century. The aroma and attitudes of the parentage brings this plant to higher level of performance. 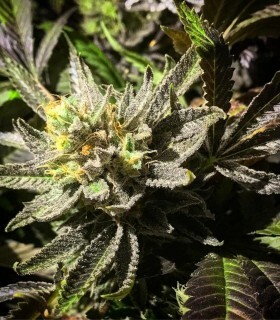 Continuing her tradition of being one of Sagarmatha's best received varieties, this new example of bubbleberry is guaranteed to please the most discriminating smoker/toker. Isolating this female proved difficult because of the genetic drift of this potent hybrid. Sagarmatha Double Diesel Ryder is a feminised autoflowering marijuana seed that has its origin in the union of a N.Y.C. Diesel and a selected Ruderalis. It is a small, Sativa-dominant, vigorously growing plant whose branches support numerous compact, resinous buds. Early Riser is our first variety that has been specially developed for growing in northern climates. Several generations of crops have been carefully selected. By choosing the individuals with the shortest flowering periods and combining them with those that produce the most resin, a great example of botanical magic has been produced. Random mix of Sagarmatha seeds. These seeds are collected from the same stock as our premier seeds and research stock used in producing our end products.The genetic information has not been compromised and all the seeds are of high quality. Sagarmatha's Hawaiian Punch is a feminized marijuana seed that has its origin in the union of various Hawaiian Sativas. 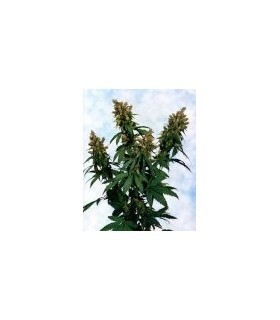 It is a medium/large size plant, with Sativa dominance, vigorous, fast flowering and easy to grow. Its numerous branches support thick, compact buds entirely covered with resin. Sagarmatha's Honolulu Haze is a feminized marijuana seed that originates from a selection of tropical Haze. 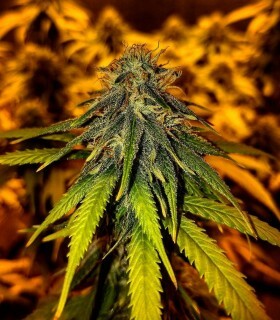 It is a medium to large sized plant, with Sativa dominance, vigorous, easy to grow, and whose branches bloom numerous thick and compact buds, entirely impregnated with aromatic resin. Two of the most powerful Indicas have been synergized to form this latest feminization. Solid, stony, heavy and hard, this girl is a wonderful example of how an Indica should perform. The reputation of this Indian Ocean has moved the Grey Area Coffee Shop for over four years. The fame of its flavor and potency has led it to be recognized worldwide. This variety, a family of the'Slyder', produces a mostly pure Indica with mango aromas and a salty taste. The legendary Matanuska Tundra and Coffeeshop Grey Area's multi award- winning Grey Mist have been combined to create wonderfully delicious, aromatic flowers with a plethora of crystals. Matanuska Tundra from Sagarmatha Seeds is a feminized marijuana seed that has its origin in a variety from Matanuska Valley (Alaska). 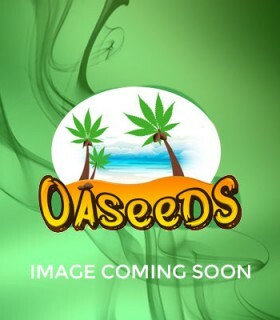 It is a magnificent Indica-dominant plant, vigorous, fast flowering and easy to grow, producing good crops of thick, compact and resinous buds. It stands out for the therapeutic potential of its resin. Potent, compact, and connoisseur quality brings this Northern Light example to the smokers ring. With a lethargic punch and brain-whack crunch, your disposition is compressed on itself sometimes flooring unsuspecting tokers. The smell is soft on the nose, great for closet and clandestine growing. Sagarmatha's OGNL Feminized is a feminized marijuana seed that has its origin in the union of a Northern Lights and an OG Kush. It is a small/medium sized Indica-dominated plant that grows vigorously, blooms quickly and is easily grown. Sagarmatha's Peak19 is a feminized marijuana seed that has its origin in the union of a Stonehedge and a Matanuska Tundra. It is a small to medium sized, Indica-dominant, robust and vigorous plant with long leaves, whose name is inspired by the strength and magnitude of the famous mountain. 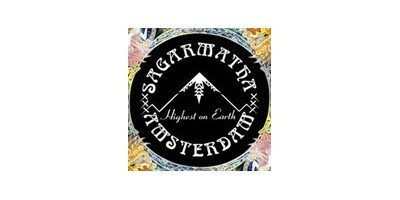 Sagarmatha's Purple Pinecone is a feminized marijuana seed that has its origin in the union of a Sativa and an Indica. It is a medium to large sized plant, which grows vigorously and blooms quickly. 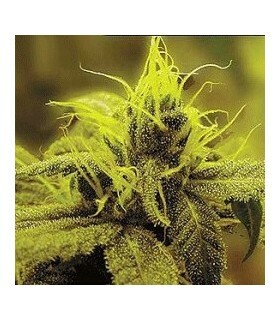 Sagarmatha's Rhode Island Skunk is a marijuana seed that originates from a selection of East Coast Rhode Island Skunk. It is a medium/large sized plant, which grows vigorously, with the appearance of a shrub, and in whose branches numerous thick and resinous buds bloom. 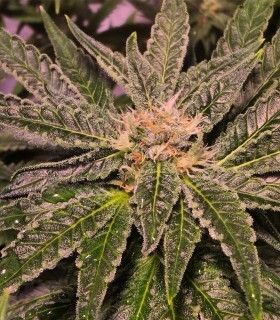 This Indica plant produces dense, crystallized buds with a strong aroma. 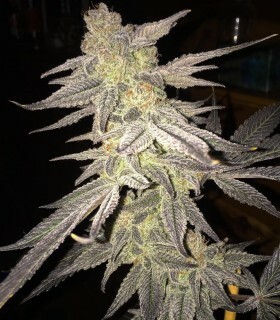 Originally developed from seeds obtained in Afghanistan, the strain was crossed with a potent Northern Light to make it possible to be cultivated indoors. Named after her Blueberry influence, Smurfberry has risen to the top of the Blueberry type autoflowering plants. All the blueberry traits familiar with that notorious strain have been preserved with this hybrid. The backbone of our autoflowering program Soloryder is the main contributor to the autoflowering phenomenon. A jewel in her pure form and a dream plant in crosses the lowryder sequencing has transformed sensimillia production and proliferation. Special K (Kali) was the first cross using Western Winds. With a high THC rating 18% and large girthed colas, she proved to be a favorite of many of our (Hazy) customers. Strawberry Cough and NYC Diesel have been united to create perhaps the best hybrid of the Diesel group. Density is no longer a problem and the potency is increased without loosing a drop of the fantastic aroma and taste for which traditional Diesel is notorious. Strawberry Fields de Sagarmatha Seeds es una semilla de marihuana feminizada que tiene su origen en la unión de una ORIGINAL STRAWBERRY COUGH y una Indica potente. Se trata de una planta de tamaño pequeño/medio, con dominancia Indica, que crece con vigor, florece rápido y se cultiva con facilidad. Given by Swedish growers, Stuporsonic has acclimatized herself to a short outdoor season. Because she is able to withstand a cold climate and limited flowering period, she performs remarkably. Sagarmatha's Thunderbolt is a feminized marijuana seed that has its origin in the union of a Yumbolt and a Matanuska Tundra. It is a small/medium sized plant that grows vigorously, flowers quickly and is easily grown. For haze lovers there is no other. The finest example of haze we have sampled in recent years has been feminized for your pleasure. The same criterion for selecting the mom was used and again our staff worked overtime to get the job done. White Russian from Sagarmatha Seeds is a feminized marijuana seed that has its origin in the union of a White Widow and an AK-47. It is a small plant, with Indica dominance, vigorous, short flowering and easy to grow. Good harvests are observed loaded with large, compact and resinous buds. 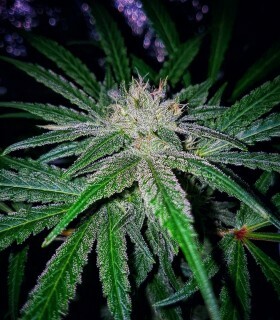 White Russian Auto by Sagarmatha Seeds is a feminized autoflowering marijuana seed that has its origin in the union of a White Russian and a Solo Ryder. 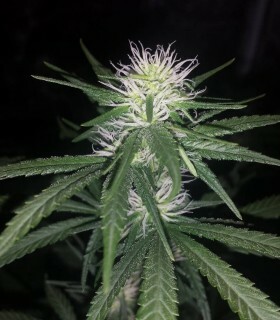 It is the automatic version of the White Russian, a small, vigorous, resistant, fast flowering and easy to grow plant. Sagarmatha Seeds Wonderberry is a feminized marijuana seed that has its origin in the union of a Bubbleberry and a Williams Wonder. 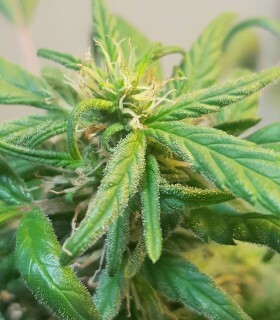 It is a small plant, with Indica dominance, vigorous, fast flowering and easy to grow, producing generous harvests of thick, compact buds covered with resin with an obvious fruity aroma. This palate pleasing plant has been rated as one of the most flavorful tastes on the marijuana market. The jewel of Humboldt County is here for you. Isolating the female put our noses to the test. With so many individuals exhibiting great aromas our whole staff had to participate in the selection - a job we all loved.